Ne Muanda Nsemi is Congolese Member of the Parliament (low chamber). He probably represents a constituency from the Kongo Central, former Bas-Congo province. Honorable Ne Muanda Nsemi is seemingly a controversial politician who, sometimes, went linked to the Bundu Dia Kongo movement. The Bundu Dia Kongo might have been claiming the constitution of an autonomous state of the ‘Bakongo People’ from DRC, Angola and Congo Brazza. However, the Bundu Dia Kongo is seen also as a spiritual and cultural panafricanist movement advocating for the renaissance of black people in different domains. Whatever the interpretation and the background of the Bundu Dia Kongo as well as his leader, Ne Muanda Nsemi, the purpose of this article is to remind the reader how the latter becomes inspirational. The inspiration comes from the declaration he made few weeks ago after the presidential consultations meeting. As matter of reminding, the reader recalls that the presidential consultations are a vanguard step towards the unnamed “Dialogue”. The blogger has a viewpoint regarding the dialogue as I simply advocate for a dialogue that focuses on improving socio-economic conditions of ordinary Congolese citizens; rather founding an opportunity of sharing posts. So what is inspirational from Honorable Ne Muanda Nsemi declaration? The reader would need to understand the context of his declaration. On one hand, he expressed that DRC needs to establish prerequisites in order to organize forthcoming elections. At the same time, he reminds the public that in the past, we have been mostly feeling that the problem of Zaire was the former president Mobutu. That is, there were complaints that the removal of Mobutu would breathe and change the situation to the extent of leading the country to the ideal living standard. It was a time for the Honorable Ne Muanda Nsemi to stating that we’ve been all wrong in interpreting the root causes of Zairean problems. Is he right? Probably YES when considering that 18 years after Mobutu has gone and few things have slightly changed. The simulation of Ne Muanda Nsemi is as inspirational as he illustrates the state of the country as roughly that of a businessperson having an obsolete (aged) truck. 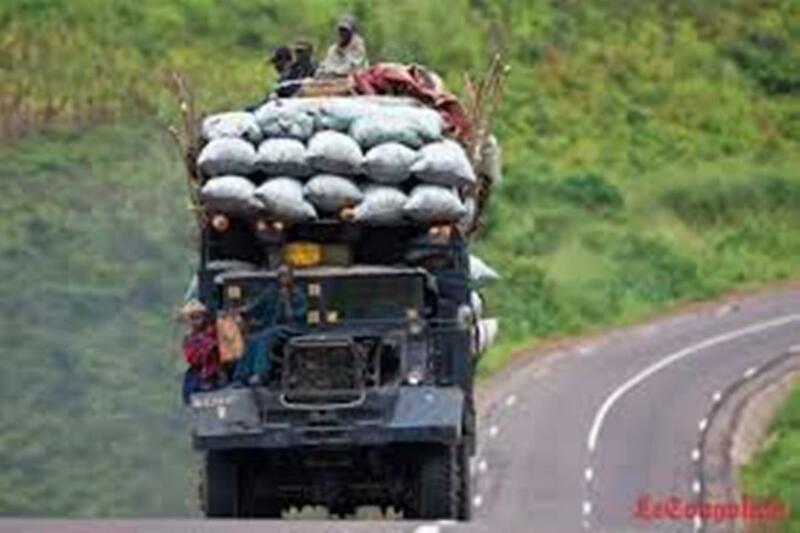 In Lingala-French, he possibly stated that ‘Oza na Camion ya Kimbambala qui ne fait plus entrer de l’argent ; et puis vous pensez que la meilleure solution est de changer le chauffeur avec le même camion’. That is, a businessperson having an obsolete lorry which makes hardly money from transportation due to its decrepit status. The owner decides rather to change the driver as a way of solving money lacking into pocket from his truck. The businessperson is largely wrong, everyone would confirm. Thus, the better answer to that problem is that the owner would start by changing the truck (purchasing a new one) for expecting money to flow again. Otherwise, the next driver will inevitably fall into the same trap of keeping the vehicle getting repaired all the time. From the viewpoint of the blogger, Honorable Ne Muanda Nsemi might have ironically mentioning that lacking financial means to organize elections is a wrong track. This is because we have to consider that elections are not emergencies as rulers expected to organize them since 2011. The lack of financial means cannot be explained by lack of potentialities of the country. Therefore, the basis of organizing dialogue turning around elections might have been avoided if the truck was in good conditions. As the blogger read, the driver in this case can illustrate any leader or possibly the head of the state as Honorable Ne Muanda had mentioned the former president Mobutu. Consequently, since 1997, DRC runs into a vicious circle for simply believing that changing the driver would only suffice. However, there is an unnoticed feature which is the health conditions of the truck, a territorial space probably from my interpretation. Subsequent to the possible meaning of Ne Muanda Nsemi illustrative message, the reader would agree with the blogger that purchasing another territorial space to replace the existing one remains impossible. So what then? Though there might be an individual problem of the driver, it is an imperative that latter’s competencies requires a reliable truck. Sincerely, driver’s competencies cannot be effective if the truck is likely non-existing. In that case, it sometimes sounds that the driver knows nothing while the problem is the truck used. If the territorial space can’t be replaced what else can be changed? The answer may be subjected to debate, but strongly the other way of capturing the question is considering the administrative & political system in which we evolved since then. Do you think I’m wrong in interpreting Honorable Ne Muanda Nsemi? Drop a comment. Previous PostRuberwa Contre Nyarugabo : Dissension, Apaisement, Ressaisissement ou Réalisme du RCD ?Next PostLE CHOMAGE EN RDC, Hier, aujourd’hui et demain Selon Adolphe Muzito.